In 1953, Mongolia issued a set of twelve stamps honoring the first anniversary of the death of Marshal Khorloogiin Choibalsan (Scott #104-15). 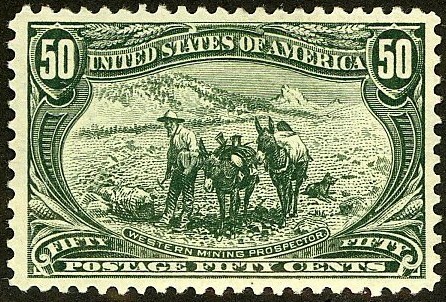 Only 10,000 sets were issued, and Scott '13 prices the unused set at $160.00. Choibalsan, a dictator who emulated Stalin, conducted purges against his political enemies, Buddhist lamas, the former aristocracy, and dissidents, and is believed to have killed over 30,000 people. The set has appeal as a "Famous Person" Topical, and should also do well based on the growth of interest in stamps of Mongolia. I consider the scarcer issues of Mongolia to be conservative long-term plays, because I do not expect an appreciable increase in the number of stamp collectors in Mongolia in the near future. 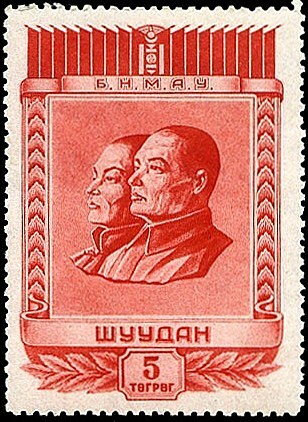 Currently, most of the demand for Mongolian stamps is founded on the interest of specialists for the earliest issues, and topicalists for the later ones. Over the next few decades, however, I feel that the number of stamp collectors within Mongolia itself will increase significantly. With about 2.6 million people, Mongolia has successfully made the transition to democracy since the fall of the Soviet Union. The main industries remain agriculture and mining, as Mongolia is rich in natural resources. There has been some diversification into the areas of food processing and apparel production, and annual GDP growth over the last 5 years has averaged about 8%. Those interested in learning more about investing in stamps are encouraged to read the Philatelic Investment Guide ($5), available on Kindle, and accessible from any computer. You've shared Stamps, it's really very beautiful. And you have provided information about stamps, it is very important. Thank you so much for this wonderful information .This is really important for me .I am searching this kind of information from a long time and finally got it.